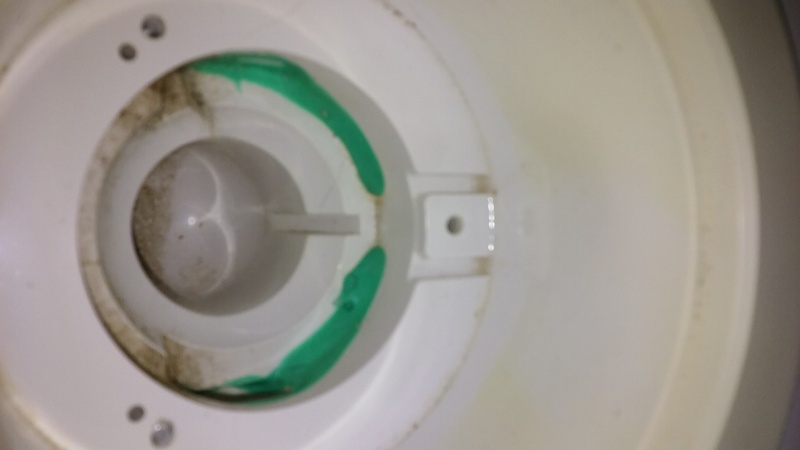 When it comes to repairing ‘broken’ or cracked things on your tub – because replacing them may not be a viable option, too expensive or too troublesome to do – there are a number of cases where a simple two part epoxy, or even ordinary silicone sealant can be a massive time and money saver. 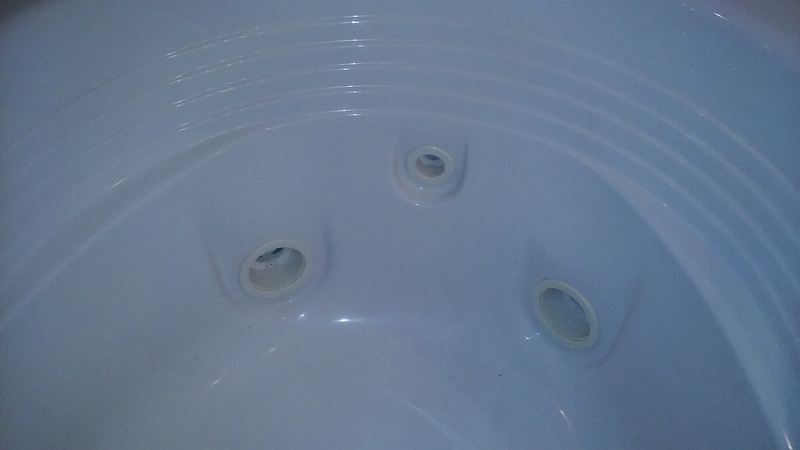 Bathtub spas, and those that go by the manufactured name ‘Jacuzzi Whirlpool’, are frequently an example when having sealants and epoxies are a serious part of your tool-box. 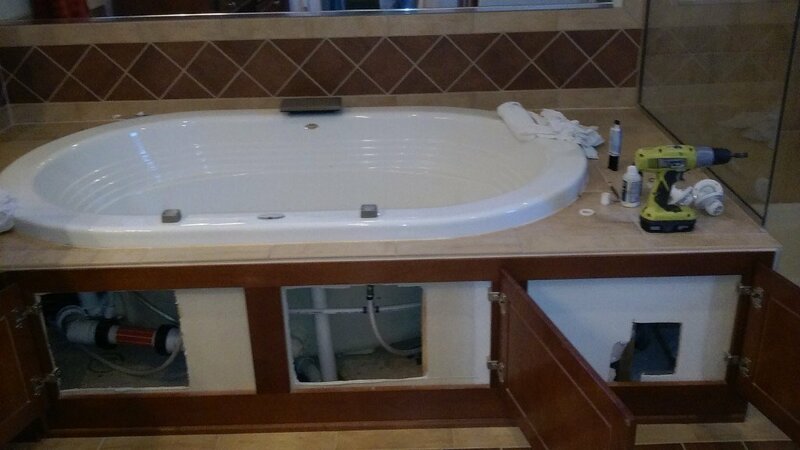 Let’s take a look at this first example, it is a Jacuzzi Whirlpool bathtub that has a couple of cracked jet bodies. Many people would think that it would be a requirement to cut out the broken jet, replace it and then replumb it. But what if just getting access means taking the entire tub out? Ouch! That can get expensive really quick! In this example, you can see I’ve got Plast-Aid, as well as Marine Epoxy (white) you can see on the above Jacuzzi Bath to the right. With the bathtub spa jet internals removed (only takes a phillips head screwdriver), the cracks in the jet body are easy to locate. Once found, I prep the area with a swipe of pvc pipe cleaner, ensure it’s dry, then apply an amount of Plast-Aid directly over the crack. That will be cured in about 15 minutes. Then a follow up with a coating of white Marine Epoxy. It can be a little tricky spotting what I call a ‘micro-crack’ – but if you can locate the leaking jet body first, then it will give you a target to focus on. In this jet body, that small slotted area to the right (behind the green cement), there is an arched crack that appears in the concave swivel ball (jet nozzle) seat, and stretches across that slot to towards the bottom. Sometimes, because these things can be really TINY and difficult to see, using a camera on hi-resolution, then zooming in with the screen will help you locate cracks like this. To repair this crack, Clean the area with pvc pipe cleaner (Clear!). Then I simply mix a two part epoxy (I prefer the Marine White) and use a small disposable paint brush to accurately paint the epoxy over the crack. Overlap is important and will determine how strong your repair will be. For the next example, Click Here!